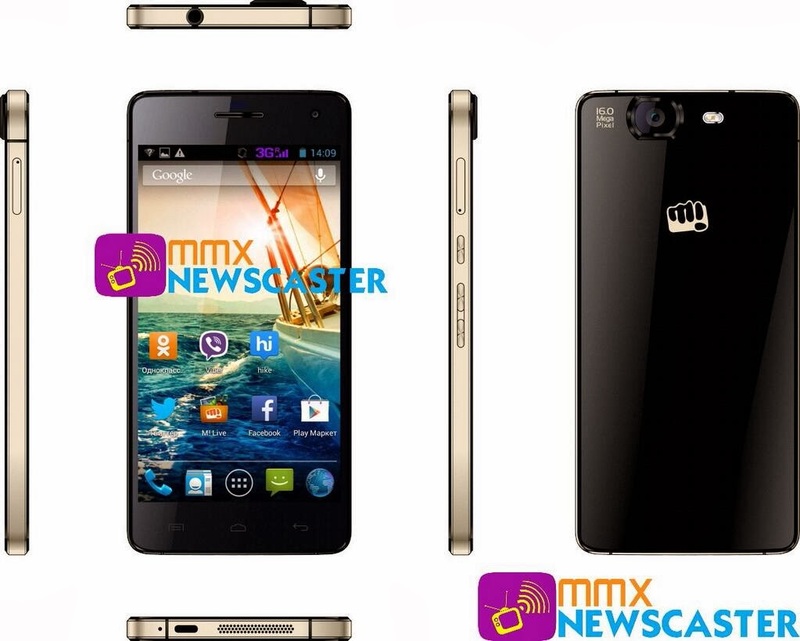 Micromax leakster MMXnewscaster has revealed the latest flagship of the indian manufacturer and mind you, its a beast !! The device is powered by a 2Ghz octa-core Mediatek Mt6592 processor,which makes it the first handset to be powered by the faster version of the chipset in the world.Other specifications mentioned by include 2GB of RAM, 32GB of on-board ROM, and a 5 inch full HD CGS(Continuous Grain Silicon) display making it a true flagship.Gaming fans will rejoice to know to that the phone is powered by a 700 MHz Mali 450 Gpu which can handle all the HD games with ease.On the imaging front, the A350 carries a 16MP rear camera along with a 5MP front shooter. Battery capacity is expected to be 2350mAH. Apart from the impressive hardware the device looks amazing,Its just 7.3mm thick.Back panel of the device reminds us of the Xperia Series (which we believe,is a good thing).The phone is enclosed in metallic rim which adds a premium look to the device. the device is expected to be officially launched in February and might be priced above 20,000. Stay tuned for more info on the octa-core Micromax Canvas Knight A350!!! The device has already been launched in Russia,with 1.7GHz variant of the Mt6592 chipset. thanks to Hitesh for the update. Hands on photos shared from russia shows it have 1.7ghz octacore processer not 2ghz. Check this launching pics of canvas/knight A350 showing 1.7ghz octacore. when will it launch in india? ?